Pullip is the flagship doll of the line. She formerly dated Namu but has since moved on to Taeyang even though he has a bratty little sister (Dal). Isul is her younger brother. Namu was Pullip’s original boyfriend, he was discontinued and later replaced with Pullip’s new boyfriend Taeyang. Taeyang is Pullip’s boyfriend, he replaced Pullip’s former boyfriend Namu. Taeyang is the older brother of Dal. Dal is Taeyang’s little sister and Pullip’s rival for his affection. She is Byul’s best friend. Byul is Dal’s best friend and classmate. Isul is Pullip’s younger brother. 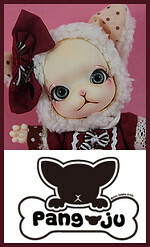 He is one of the most recent additions to Pullip’s family. 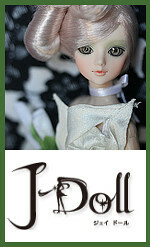 Yeolume is the newest addition to Pullip’s family, she is Pullip’s daughter from the future. A couple of different series of smaller dolls based on Pullip (and friends) have been released over the years. This category is not a doll category it is instead for the various items released by Jun Planning/Groove over the years including outfits, MIO products and furniture. 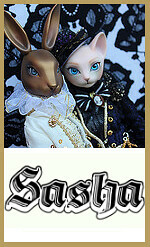 Other dolls made by Jun Planning/Groove Inc.
Sasha dolls are 1/6 scale anthro fashion dolls made by Groove. They come with one of two headmolds a rabbit and a cat. The current fate of this doll line is unknown. J-dolls are 1/6 fashion dolls representing different street styles from around the world. J-doll was originally made by Jun Planning but Groove continued releasing them after they took over. This doll line seems to have been discontinued. Tiny bjds originally created by Jun Planning but whose release continued under Groove. They come with one of four different headmolds. This doll line seems to be discontinued. Hestia dolls are 1/6 fashion dolls made by Jun Planning. They were released in matched pairs but sold separately, the sisters Ribon and Isora would share the same the theme for each release but would express it in different ways. Ribon tends towards fashions while Isora tends towards slightly more punk clothing with an edge. This line has been discontinued. Hi! My name is Takara I am 11 and from Australia. I just received my first pullip, she is called hanaayame. I got her off pullip style! I enjoy collecting dolls including pullip and monster high. 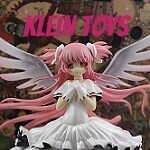 You are very lucky to have gotten those samples of pullip plain head with body! And you even got clothes and wigs!